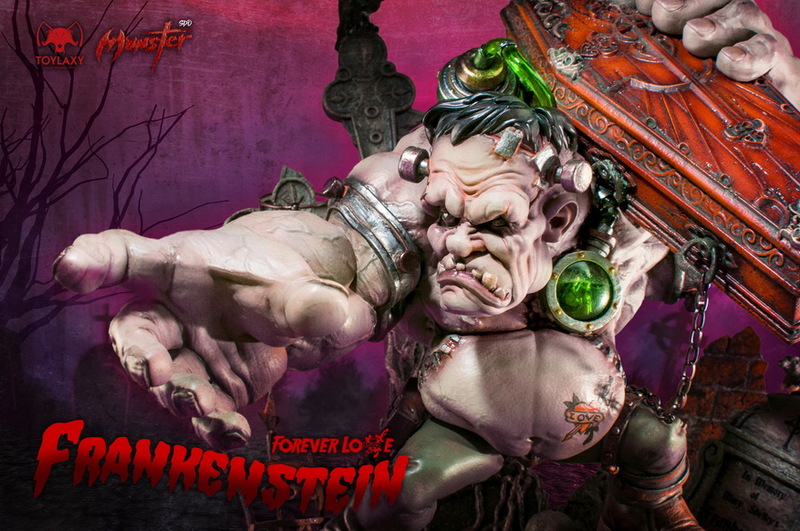 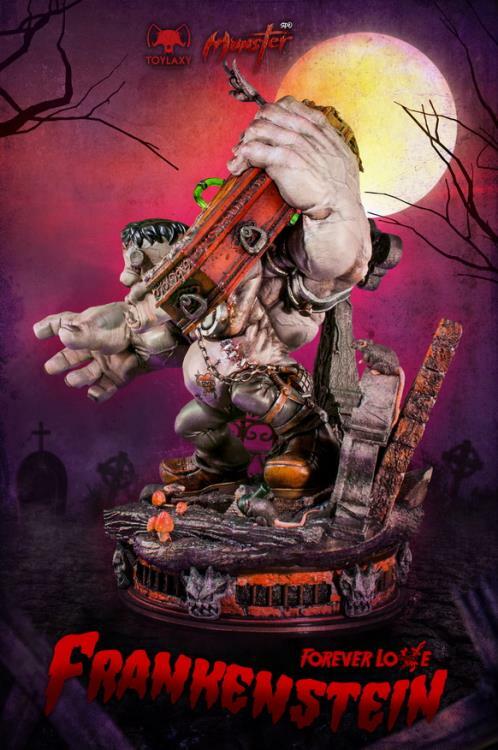 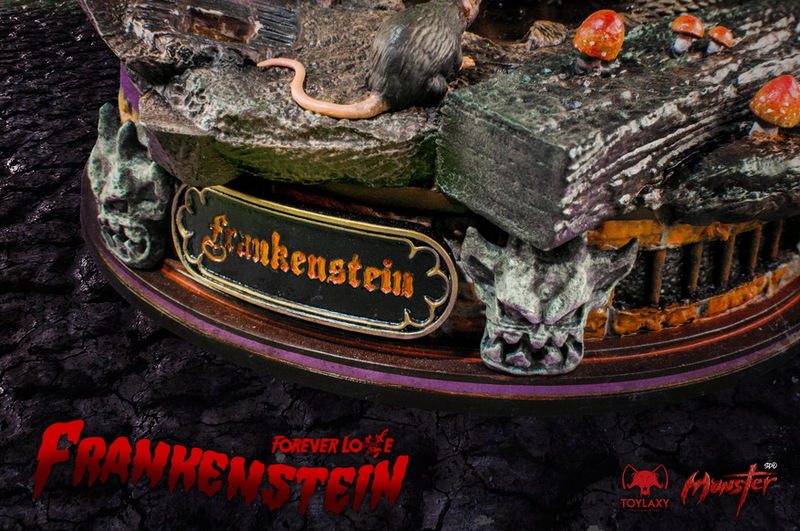 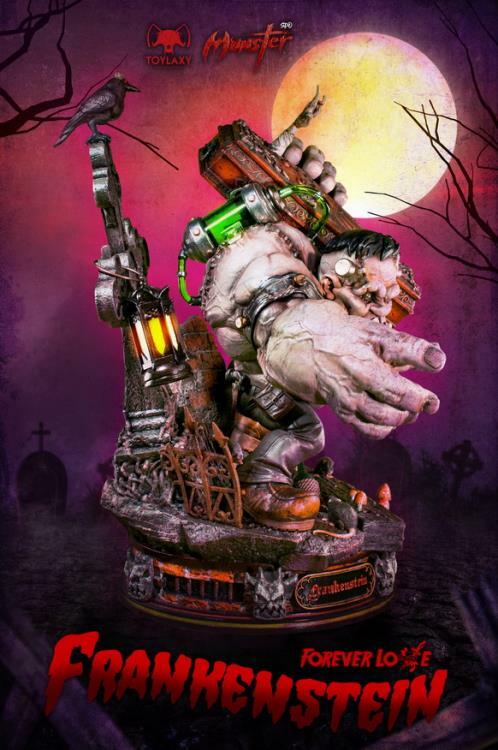 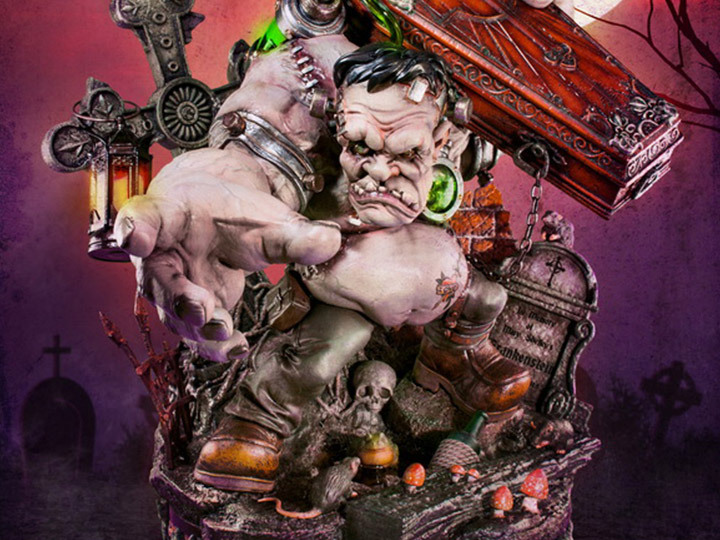 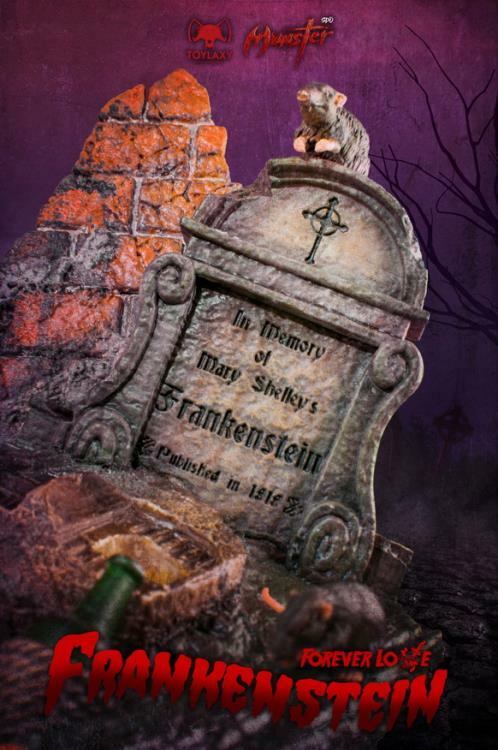 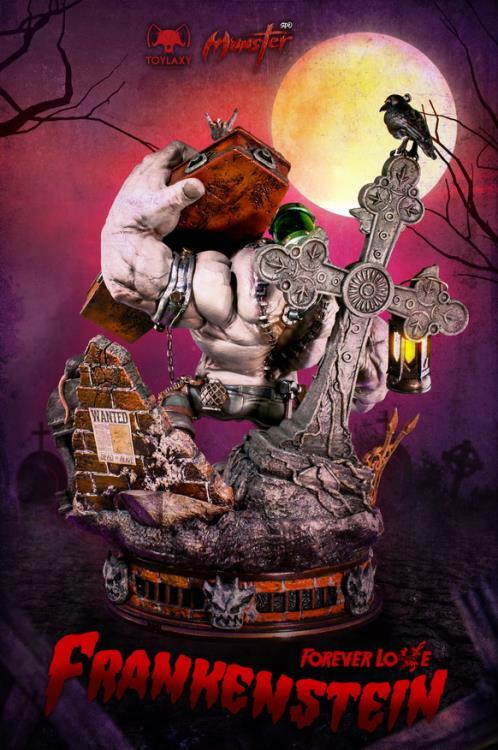 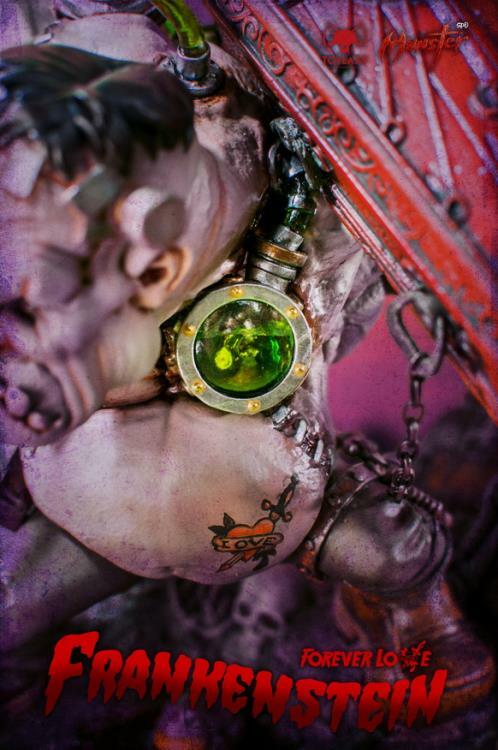 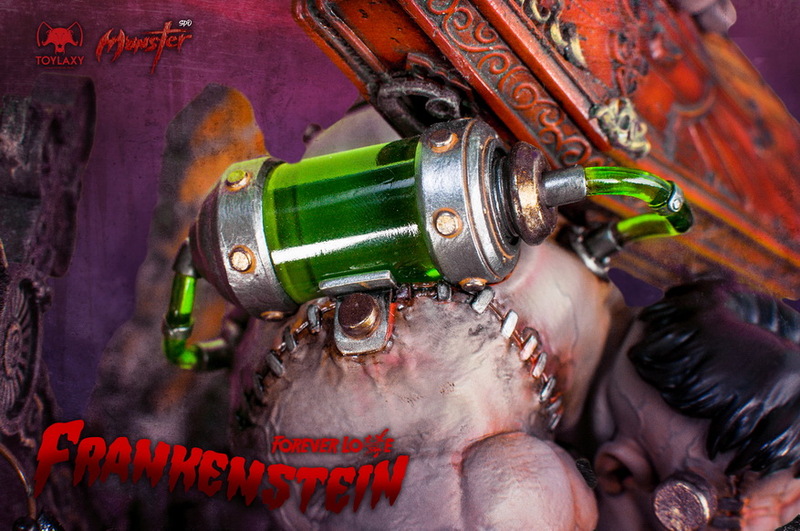 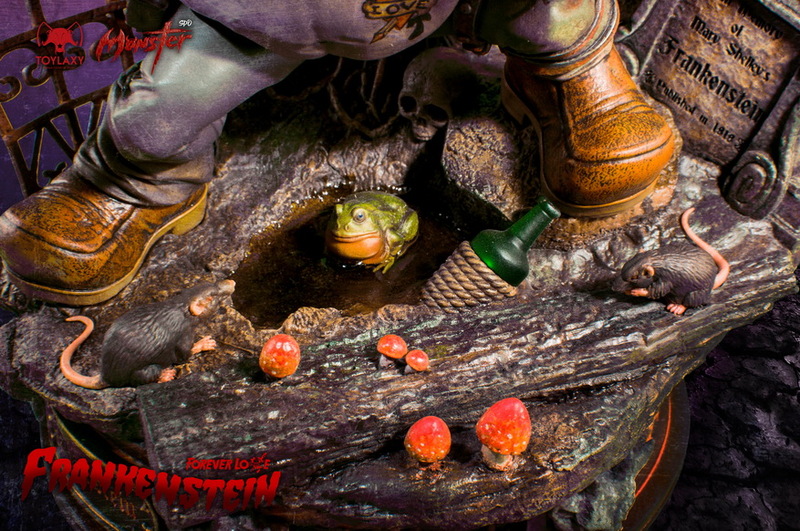 The Frankenstein Forever Love statue from the Monster line from Toylaxy is sculpted moments after he dug up the corpse that will soon become his bride. 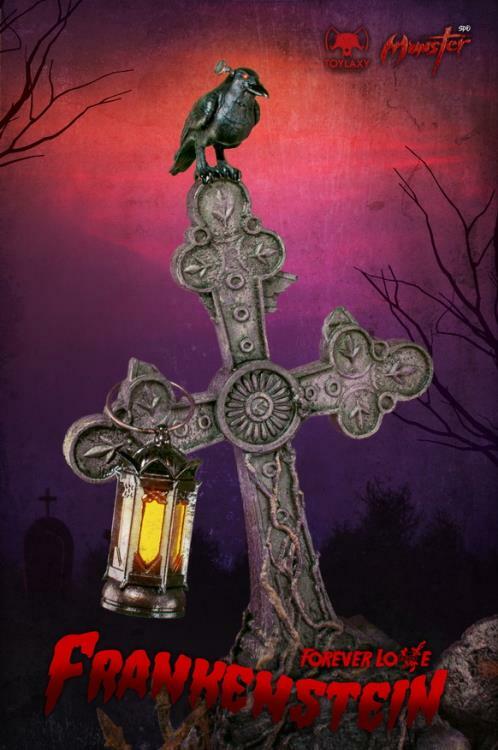 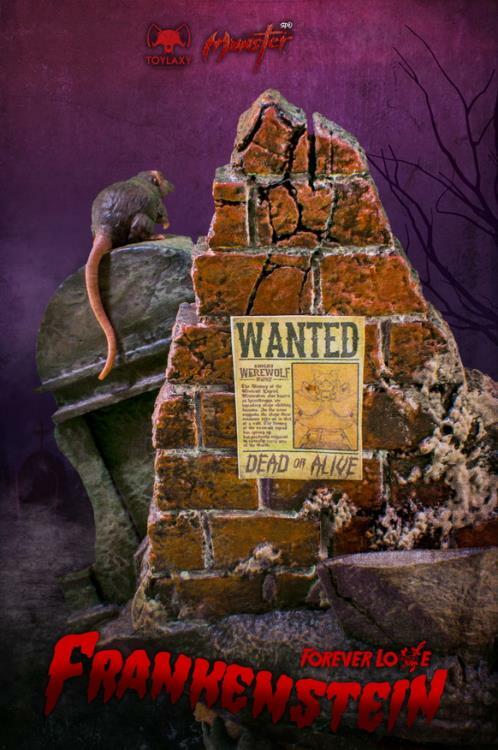 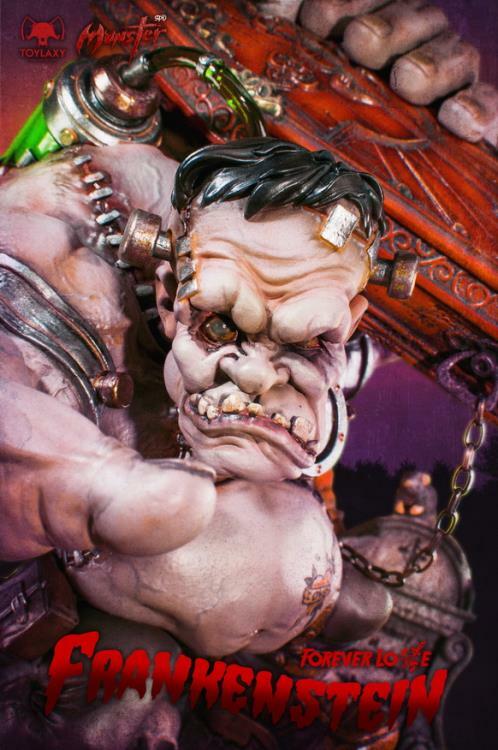 This statue stands about 11 inches tall and is full of intricate details and features an impressive paint application. 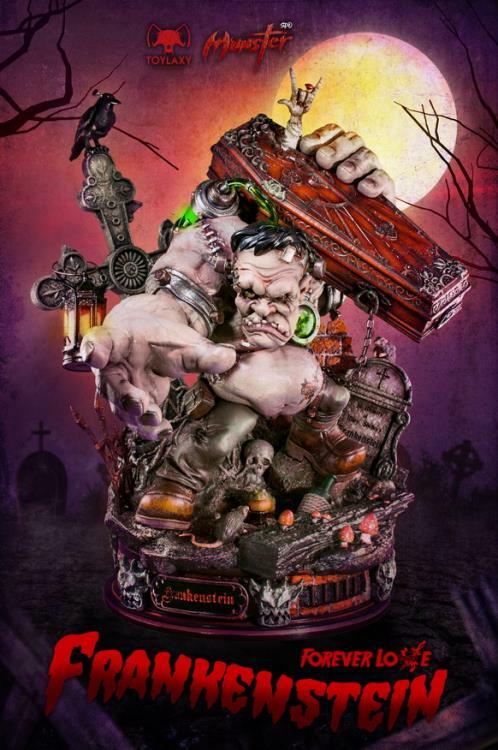 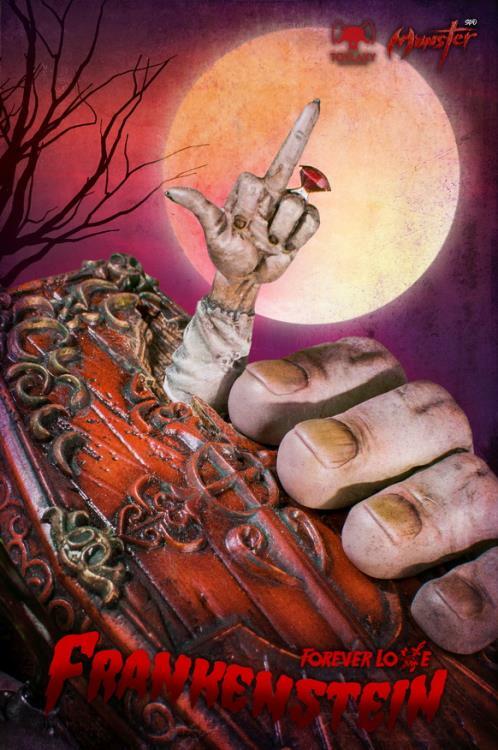 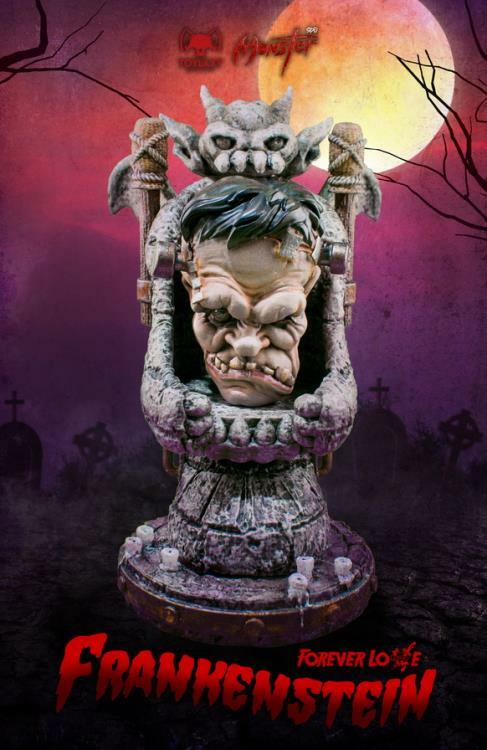 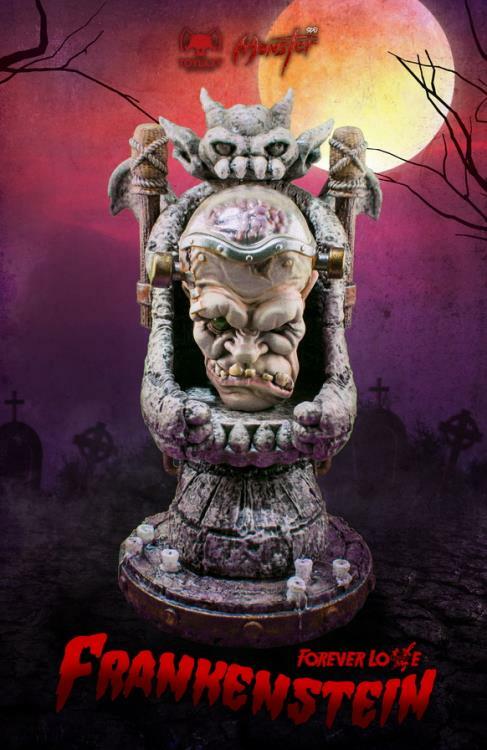 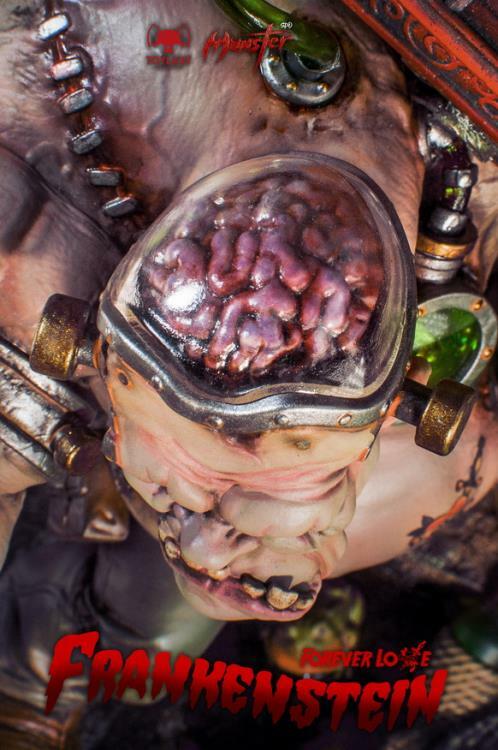 This statue includes an alternate head exposing the monster's brain as well as an alternate hand for the bride punching through the top of the coffin.